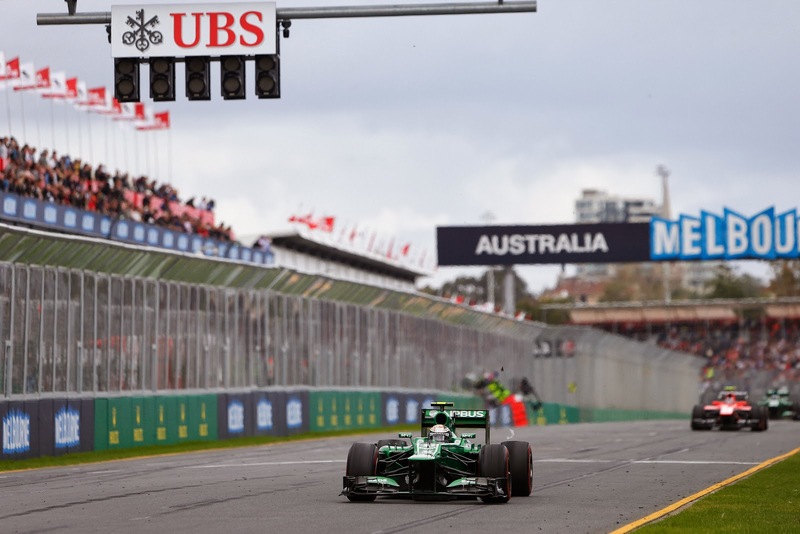 Could it be the case that no round in F1's history has represented as much of a step into the unknown as this weekend's 2014 Australian Grand Prix? Most probably. If this wasn't challenging enough this highly complex and still largely new technology has been thrown wholesale at the teams in one go. Unlike, say, the banning of the turbo in the 1980s, or the race-day fuel restriction of a few years earlier, there's been no incremental introduction. And they've also only been given 12 days of pre-season testing running to eliminate the glitches (Adrian Newey pointed out that even the most complex hybrid road car has several years' worth to do the same). What we've been able to decipher from testing is that the order of before has indeed been shuffled: a consequence of the new rules is that engines are now a differentiator, and the Mercedes power unit looks to be the best of the bunch in power, fuel economy and reliability. It also has had a rising-tide-lists-all-boats effect on all four of the teams that use it. But even of the Merc runners the works team looks a cut above in its pace and preparation - the smart money for a Melbourne triumph is on one of the Silver Arrows. But even more unlikely is the squad reckoned to be next up: the incredible resurgent Williams, which - via recruitment of several new technical staff, stumbling into a Mercedes power unit partnership as well as bagging a nice new title sponsor in the process - looks to be Merc's closest irritant. Testing suggested the FW36 is almost as good on a qualifying lap, maybe as good over a race distance, probably slightly more convincing on reliability. Getting at least one car on the first two rows of the grid and a podium finish all of a sudden seems a minimum expectation from Australia for the comeback Grove squad. Then there is Ferrari: often F1's great enigma, and the team has stayed in character this pre-season, never showing the full content of its hand seemingly. And since testing finished both Autosprint and Mika Salo have spoken in terms of the red cars having pace up their sleeve: of odd inconsistencies in their sector times in testing; almost like the cars were being timed at another point of the circuit; like they were hiding something. Just as intriguingly both of its pilots Fernando Alonso and Kimi Raikkonen have spoken in confident terms of getting on the podium in Melbourne. The Scuderia is worth watching. Who will be ahead out of Williams and Ferrari? And what of Red Bull, the team we've got rather used to trampling all before them? Well, in the grandest shuffle of all testing for the Milton Keynes team has been the stuff that would have you awaking in the night in a cold sweat. Renault has had its own problems with the power units of course, but it appears that even with these Red Bull's created a few problems of its own - mainly that the car only appears capable of doing a few laps at a time before conking out. For all associated with F1 the effect has been rather like that in The Wizard of Oz of the man behind the curtain being revealed. No one in the longer term is writing off Red Bull however, and there are plenty of reasons to think that once the RB10 is running properly it'll be very quick - indeed both Jenson Button and Lewis Hamilton commented in Bahrain about how effective the car looked in high-speed turns. The main question is when it's going to be running properly. But Melbourne it seems has come too soon for the team. Just reaching the finish, and perhaps in so doing claiming modest points, would be an achievement - the car never got close to a race distance in testing. Not even Melbourne's qualifying hour will give us the full story either. As Alonso and others have noted the disconnect between qualifying and the race will likely be much larger in the new formula than what we've grown used to: the car quick on a qualifying lap wherein everything is turned up and fuel doesn't have to be thought about may not necessarily be as quick (relative to the others) in the race with 100kg of fuel that has to be measured out to the end. Add to the considerations this weekend that all are having their first stab at this in one of the races toughest on fuel consumption on the calendar. The cars won't run dry, as the electronics and the team's ability to manage such things are too sophisticated these days. But those that get it wrong - in other words use too much - will instead slow disastrously, rather akin as Simon Arron has pointed out to being on a worn set of Pirellis in previous seasons. Cars cannot proceed at full power for the whole distance - when to crank up the volume and when not to will be a key matter to wrestle with. Apparently on paper cars will complete the race distance most quickly by starting with the power low and gradually turning it up as the fuel burns off, but that doesn't factor in track position, and the possibility that others will turn up their power early on and get ahead of you. The effect could be a little like when qualifying with race fuel aboard was brought in for 2003: although starting with a normal fuel load for an evenly-sized first stint was theoretically faster, Renault in round two rather inconsiderately locked out the front row by going with a light load, good for only ten laps or so. Quickly others had to follow suit. There may be similar flux this time as strategists explore what the optimum is. And what will the driver have to do in terms of fuel management? The electronics are clever as mentioned, but the current best evidence is that management will encompass a mix of that and the driver adapting their style at certain moments: 'lift and coast' is a phrase we're reasonably familiar with but it'll become more of a frequent radio call in 2014. 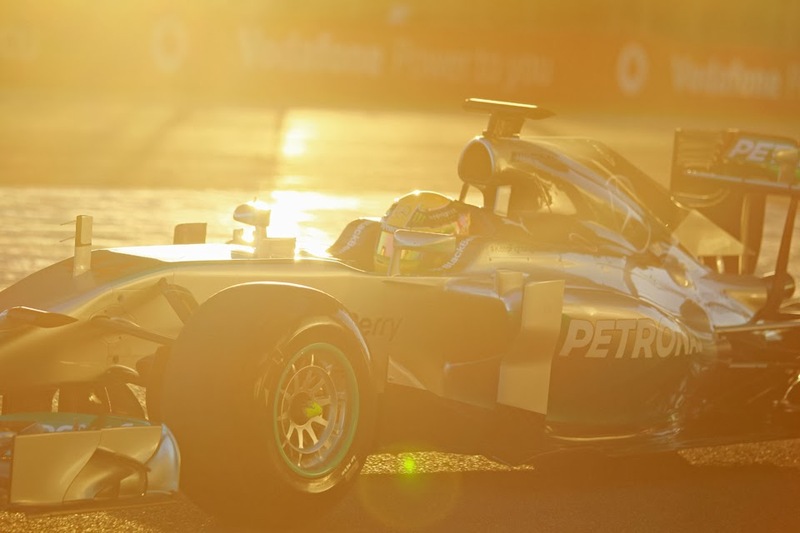 Another thing to return to F1 for this campaign, at least initially, is unreliability. In the latter-day formula we've been able to take reliability virtually for granted; pace therefore in large part frames the race result, but no one in Melbourne will be so minded. Some have been better than others, but there is not a single team that has not had reliability troubles crop up in testing. Some of the unknowns it appears however won't quite cause the bother that a few anticipated. For one, the noise: the new power units certainly are quieter, and emit more of a growl that a squeal, but most of those present in testing were pleasantly surprised, and consider the note still representative. 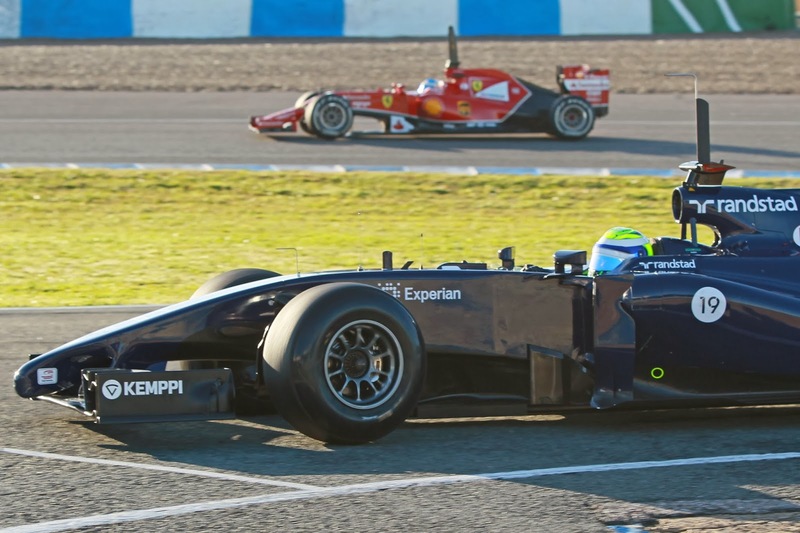 For another, the speed: even though lap time chasing in the opening test in Jerez conspicuously was minimal, a few (including Bernard Charles Ecclestone) jumped the gun and started to decry the pace of the new machines; that they'd be barely quicker than their GP2 equivalents and the like. But rapidly it was established that such claims were misguided. In Bahrain many set best marks within about a second of what they did there in qualifying in 2013 (consider too that tyres now are less gumball, wings have been clipped and cars are heavier) and one can expect that - with the rate of F1 development - to be clawed back and more before we know it. Plus the new-spec machines fly down the straights (in Bahrain clocking 10km/h or more faster than last year's in speed traps), and their greater torque means more sliding on acceleration - more of a challenge for the pilots; more spectacular for us watching. For a few this realignment of pace and grip, present for the moment anyway, is most welcome. And add in the peculiarities of the Albert Park track: a temporary track, low on grip, narrow, bumpy and with plenty of acceleration zones. Cars may have to be fought out of corners. Walls are close to welcome those who get it wrong, incidents usually are frequent, as are safety car sojourns (and what would these do to fuel management considerations?). To add to the addition: some rain is forecast for this weekend - currently most likely for qualifying. While not even what happens this weekend will be the end of matters, more to borrow from Winston Churchill it will merely be the end of the beginning. The learning curve with these cars will be steep, the season is a long one (even come September eight races will yet remain - effectively nine with there being double points available in the final round) and the competitive order has plenty of time and opportunity to change beyond recognition. Alonso has commented that per lap several seconds' worth of development could be found this campaign. Thus in the here and now what is unknown outweighs what is known vastly, and while the goings-on of this weekend will tilt the balance back to some extent plenty of unknowns will yet remain. In 2014 and possibly beyond, prepare yourself for some unknown pleasures.